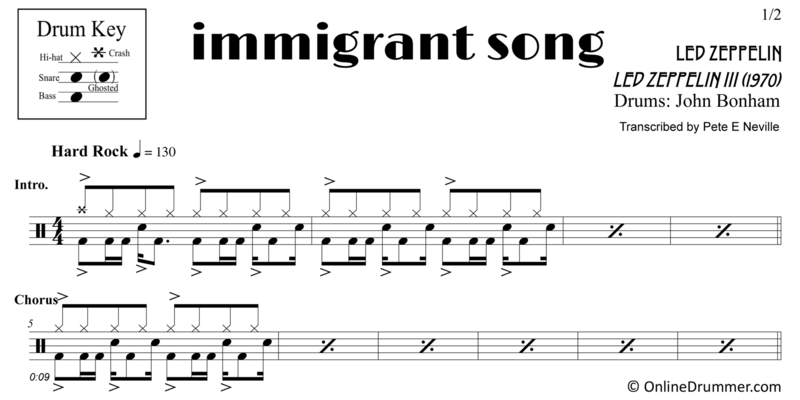 The full drum sheet music for “Immigrant Song” by Led Zeppelin from the album Led Zeppelin III (1970). 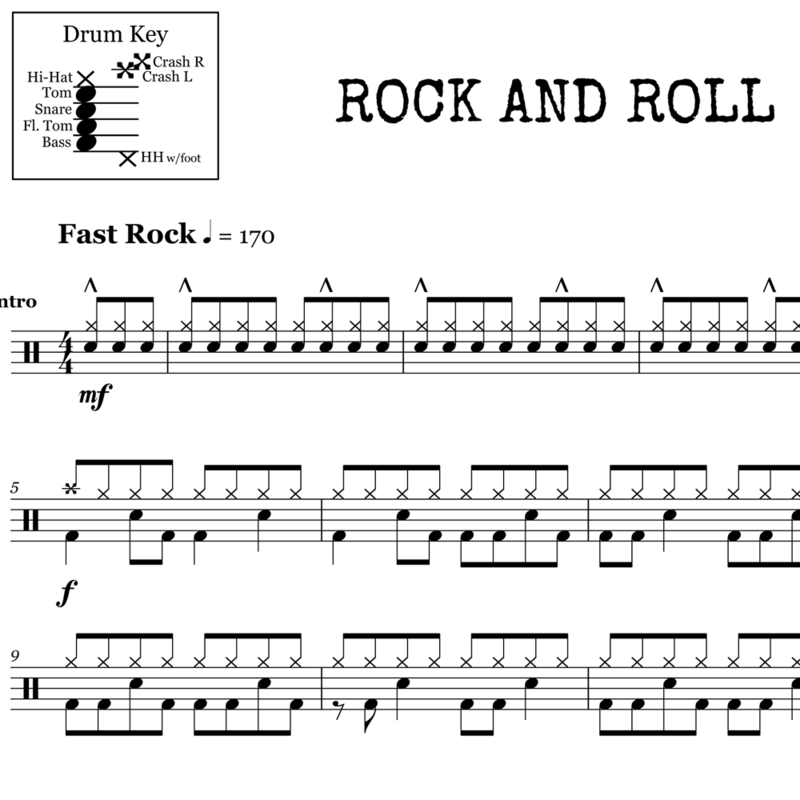 Another one of John Bonham’s classic drum parts. This song is unique in that Bohnam plays essentially no drum fills throughout — at least not the mean tom fills or syncopated crash-accents we’ve all come to associate with John Bonham. 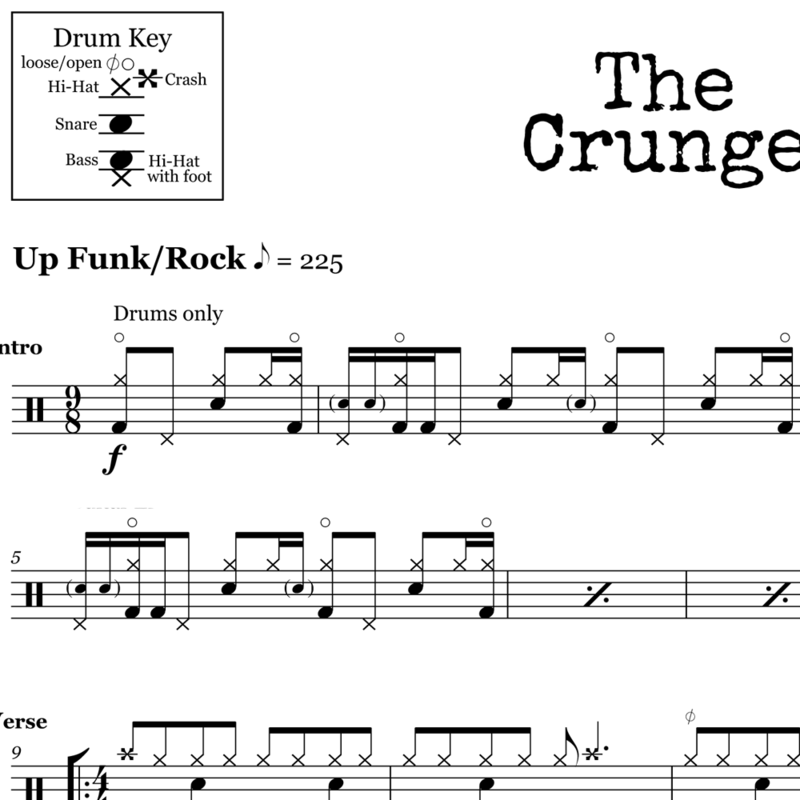 He makes this piece work with a straight-up groove. If you’re looking to build your single-foot speed, this is a great piece to work on.